Daniel hopes to use his own experiences to encourage others to get outdoors and enjoy nature. 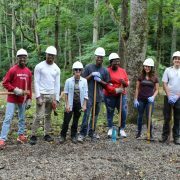 This summer, Daniel led Everybody’s Environment partners on a hike to Snowball Mountain to encourage youth to get outdoors. 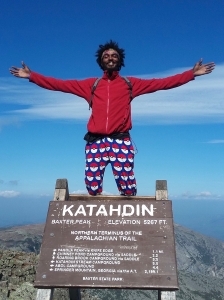 Chronicling the journey via his YouTube channel, The Blackalachian (the trail nickname Daniel chose for himself) hiked the entire 2,200 mile path of the Appalachian National Scenic Trail, from Springer Mountain, GA to Mt. Katahdin, ME. 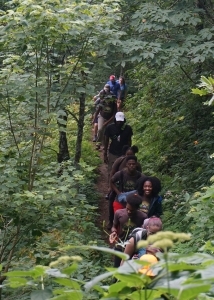 His viewers, from all over the nation and world, galvanized him to keep trekking. Now, he’d like to share that inspiration. This summer, Daniel returned to his hometown to share stories about his journey and hopefully inspire others to try something new — whether fishing, hiking, camping, biking, or maybe woodwork. Reflecting on challenges faced along the trail, Daniel says wildlife was one of the main concerns for his family members. Daniel feels it’s important to open discussions about access to trails and outdoor recreation. 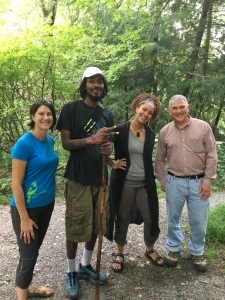 This summer SAHC, the Appalachian Trail Conservancy, and the Center for Diversity Education at UNC Asheville invited Daniel to visit the Asheville area to connect with youth and community groups this summer, to promote outdoor recreation and share his AT hiking experience. 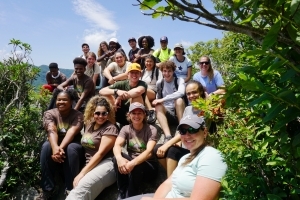 Over the course of three days in July, he met and hiked with a variety of summer camps, organizations, and Everybody’s Environment partners. Almost 100 people attended his public speaking engagement at the Arthur R. Edington Education and Career Center. 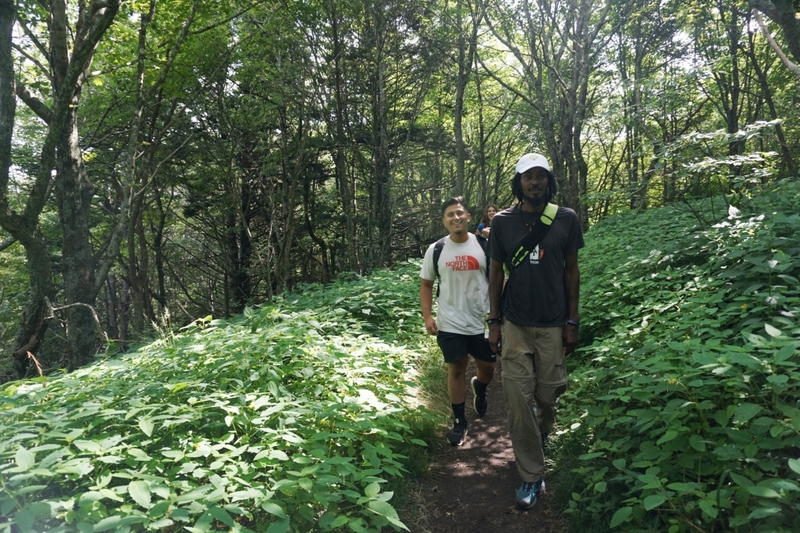 Daniel’s visits culminated with a group hike along the Snowball Mountain Trail, overlooking public lands and SAHC conservation properties in the Black and Craggy Mountains. 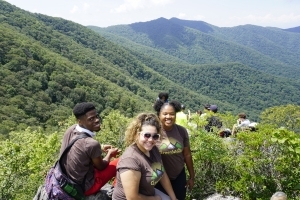 The hike was joined by interns and partners from Asheville Greenworks’ YELP program, the Great Smoky Mountains National Park, Conserving Carolina, and Pathways to Parks. As part of his visit, Daniel also met with local outdoor gear specialists, preparing for his next big adventure — cycling the 2,000-mile route of the Underground Railroad from Alabama to Canada. We are extremely grateful to REI for donating the bike which Daniel is using on his Underground Railroad trip this fall, and to Liberty Bicycles, Trips for Kids, and Patagonia for donating gear to help support his ride. For more info about Daniel’s adventures or to follow his Underground Railroad ride, find The Blackalachian on Facebook, Instagram, and YouTube.